To remove the FoldAway Rotary from the ground, fold the Arms upwards, lift and twist the Column to remove from the Ground Socket. The Ground Socket, Cap and Galvanised Pin are included. Remove the FoldAway from the Ground Socket regularly to ensure it is kept free of soil, grass etc. When folded, the FoldAway 51 measures 3150mm from the base of the Column to the top of the closed Arms. The FoldAway 51 is a medium sized removable Rotary suitable for 4-5 people. The 7 cords offer 51.1m of line space. 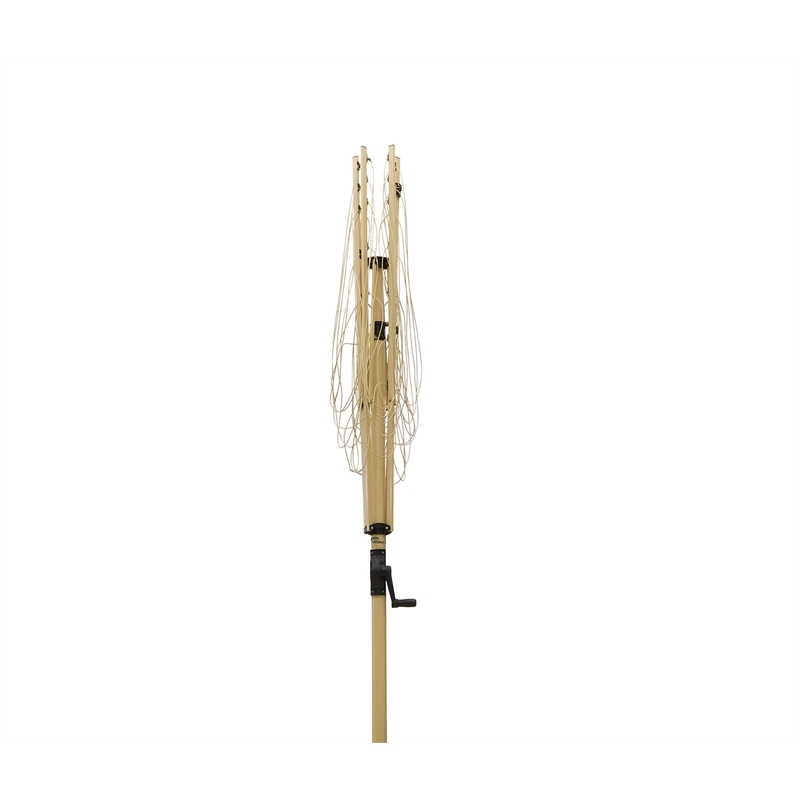 The outside cord measures 2570mm. 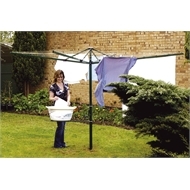 The FoldAway 51 has a head diameter of 3.8m and requires a minimum area of 5 x 5m. 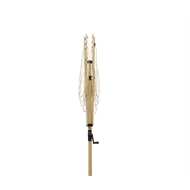 The FoldAway is supplied with a Ground Socket, Cap and Galvanised Pin. The Pin is used to set the Column height and locking mechanism. 20 year structural warranty. 12 months Warranty on PVC (non-lead) coated Cord and injection moulded Polymer components. 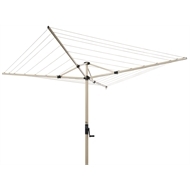 The Warranty does not cover defects arising from the installation or use of a clothesline cover or sunshade. 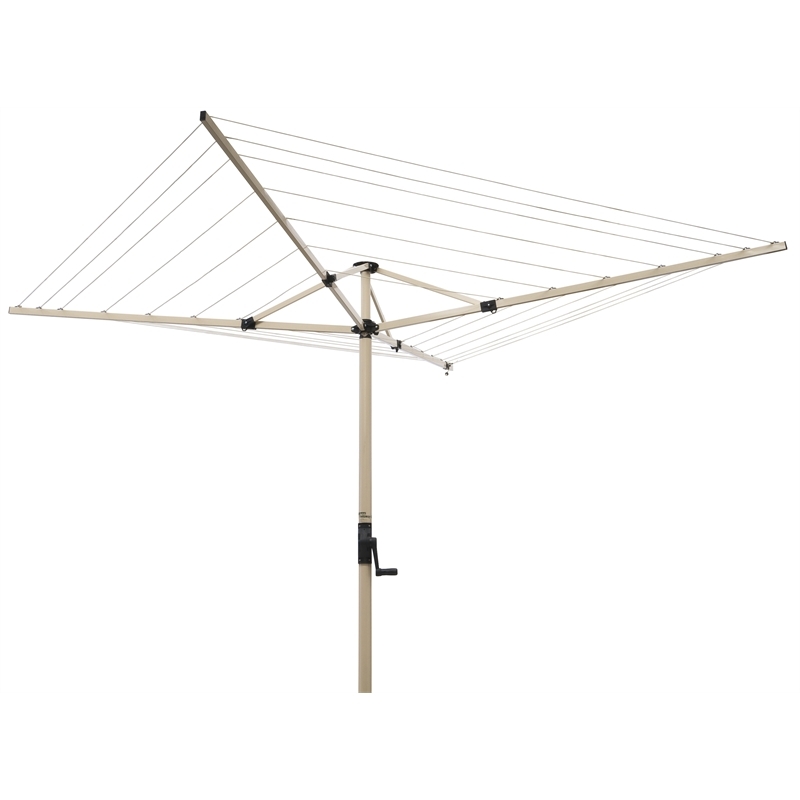 Customers can be assured of a lower carbon footprint when purchasing an Austral Clothesline. 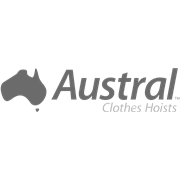 Less energy is consumed in the production and delivery of an Austral Clothesline than our competitors’ imported clotheslines. The FoldAway 51 Arms slope upwards, from the centre Column to the outer Arm. The outer cord is approximately 140mm higher than the inner cord. The Galvanised Pin is punched through the Ground Socket and is used to set the user's height according to the installation instructions supplied.